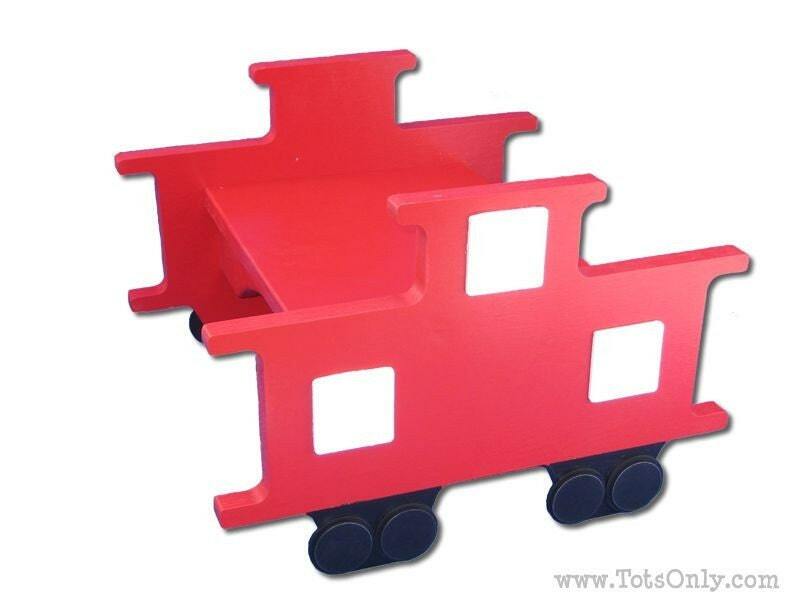 Our train caboose is just perfect for your little conductor. The traditional red color is accented by dimensional black rail wheels and white windows. (Wheels are fixed, stool will not roll). Step is 6" off the floor.